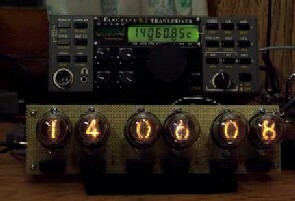 Benjy's Nixie Clock is complete. 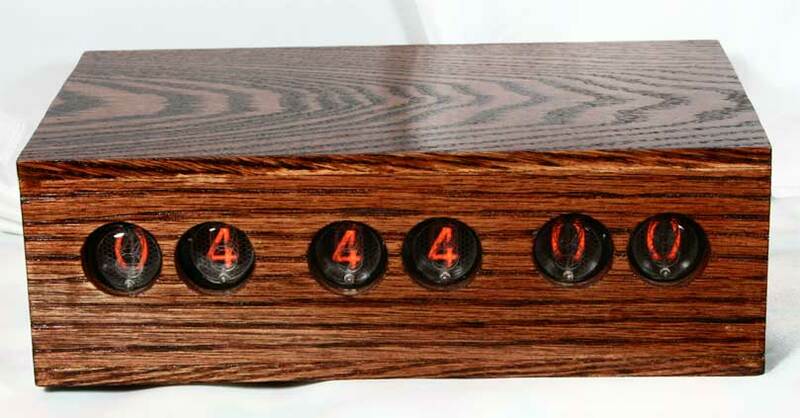 The final effort was building a case for the clock: The Nixie Clock Box Project. After putting off the project for a few years, I finally decided to build a box out of oak. Thanks to the following for suggestions and encouragement during the Nixie Clock Box Project: Sue Ellen Cline, Gene Bard, Mike Barts, and Scotty Bolling. 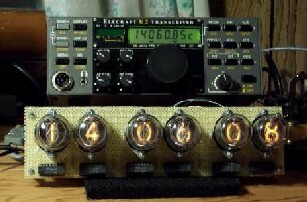 These pictures show the nixie tube clock in "K2" mode, which displays the operating frequency of the Elecraft K2 transceiver. When the clock is powered on in K2 mode, it sends an "AI1;" command to the K2, which causes the transceiver to report its frequency immediately and then report frequency changes. 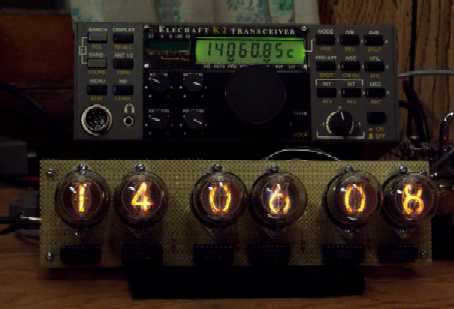 The clock parses "IF" responses from the K2 with an FSM and displays the frequency. It needs a little work! 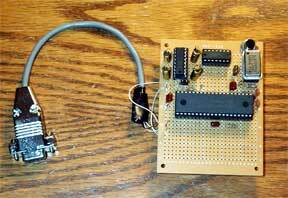 This is my MC68HC908GP32 programmer/proto board. 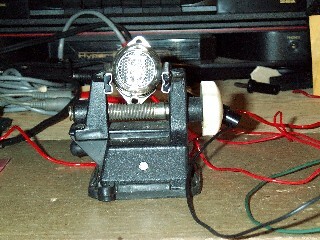 The HC908 will form the heart of my nixie clock. I checked out one of the tubes using a half-wave power supply. 12V to 170V. Modeled after the power supply at Mike's Electric Stuff. 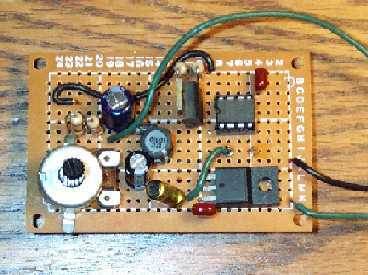 I used a Max 1771 converter chip in place of the Max 771. The top board contains the nixie tubes and will hold the six driver chips. The bottom board will hold the microprocessor. The heart of the clock is the HC908. I've written a program to configure the timebase to operate at 4 Hz. The timebase interrupt routine counts ticks, and the main program outputs seconds, minutes, and hours on the processor's I/O lines. Still to come is the code that will allow the time to be set. 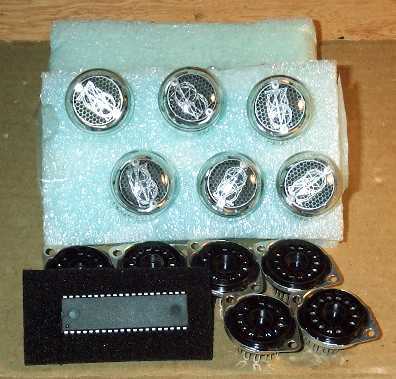 Potentiometers will be used to allow the user to set hours and minutes.